Mumbai: The 38th annual day of the Children Welfare Centre High school and Clara’s College of Commerce was organised in a school Ground, in which students presented dance, a play based on social media and different cultural programs. 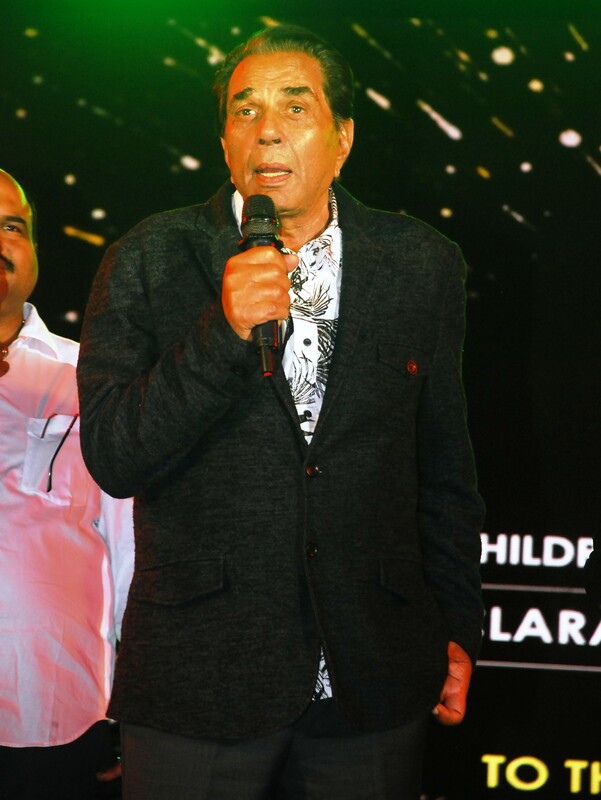 On the occasion, while addressing the students, veteran actor Dharmendra said “ The humanity is the biggest measure of success in life. If you are a good human being, it doesn’t matter, what you materially in this world. If you nurture humanity within yourself, then you are a successful human being. As against this, if you become big by obtaining higher post and money, but you are not a good human being, your valuation is zero in my estimation. Actress Shilpa Shetty appreciated the programs presented by the students and urged them to be away from the junk food as far as possible. Besides, she advised them to remain linked to our rich virtues. Actor Punit Issar, who got recognition world over, by portrayal of Duryodhan’s role, dwelt upon maintaining good health and said that “Our traditional diet is full of rich nutrients. As such the youth should avoid food supplements and should include milk, curd and other staple food items in their meal. Besides CWC High School Principal Ajay Kaul Congress leaders Sanjay Nirupam and Kripashankar Singh & actors like Dharmendra, Punit Issar, Rahul Dev and Siddharth Jadhav and actresses like Shilpa Shetty, Jayaprada, Gracy Singh, Rimi Sen, Sonali Kulkarni,Drashti Dhami, School Activity Chairman Prashant Kashid graced the occasion. In addition a host of social and political workers were present. The children were given prizes at the hands of the special guests.